Instructions for how to become a patient at the Clayman Thyroid Center at the Thyroid Institute at Tampa General Hospital. Become a part of our family and have your thyroid cancer or thyroid operation performed by the world's experts in thyroid surgery. Thyroid and Neck Surgery Made Easy -- How to Become a Patient at the Clayman Thyroid Center, a part of the Thyroid and Parathyroid Institute of Tampa General Hospital. Thyroid surgery and thyroid cancer surgery can be difficult and challenging. Because of the demand for our expertise in thyroid surgery and thyroid cancer surgery and our exceptional results, we perform between 18 and 24 thyroid operations per week, about 1,200 per year. About one third of our patients come from outside the state of Florida each week. We will chat with you by phone as soon as you fill our our online new-patient form so you can ask the basic questions about your situation before you come to Tampa for your evaluation. If you don't need an operation, we are happy to tell you this too. We make your thyroid surgery straightforward, simple, safe, and successful because this is all we do. This page will tell you how to have your operation with the Clayman Thyroid Center, what it costs, how the process works, and what you can expect. 1. Understand what makes this practice unique and our reputation as some of the best thyroid surgeons in the world. 2. Understand the fee structure: We take insurance for the operation, and for all in-person evaluations. However we do offer an online medical consultation for patients who live a long distance away and want to consult with us online. 3. Fill out our secure new-patient form. 4. Schedule your in-person evaluation or Online Consultation and then get on our operating schedule if that is what you need. The Clayman Thyroid Surgery Center is America's leading thyroid surgery center with some of the world's most experienced personnel dedicated to thyroid and thyroid cancer surgery. This is the only thing we do. All thyroid operations are performed by some of the most highly experienced thyroid surgeons in the world. The Center has two experienced thyroid surgeons in every operation. We perform surgery within the brand new Thyroid Institute, a new wing of the Tampa General Hospital built for our team. Dr Clayman is one of the few (if only surgeons in the world) that limits their practice to thyroid surgery and thyroid cancer surgery. Dr Clayman performed more than 600 thyroid cancer related surgeries per year for over 23 years at MD Anderson Cancer Center where he was the head of their Thyroid Center. Nearly half of our patients have recurrent or peristent thyroid cancers which have been previously operated on by surgeons that claim to be thyroid surgery experts. Our surgeons do not do breast biopsies, gallbladders, and obesity surgery. We do not put tubes in kids ears or take out tonsils. We do not treat any other types of head and neck cancer. Because of our expertise, people from all over the US and many other countries travel to Tampa to have thyroid surgery or be cured of their thyroid cancer. Our publications have established the standard of surgical excellence and control of persistent/recurrent papillary thyroid cancer and even aggressive/invasive thyroid cancers. For patients with small thyroid cancers, with or without spread to neck lymph nodes, nearly 99% of patients are cured at their very first visit with us - almost all via an operation that takes between 30-60 minutes, going home a few hours after surgery or staying over night depending upon the required surgery .Importantly, we do not have students or surgery residents or fellows performing any thyroid operations (this is important to you). There is no way to perform this quality of surgery while having a surgeon in training being the person performing the operation. Click here to read more about Dr. Gary Clayman. We will help arrange all aspects of the trip except the travel. Typically, a patient can fly to Tampa, have their thyroid surgery, and return home in the same time that he/she would be in the hospital if a standard thyroid operation was performed someplace else. Many of our patients are able to go home within 2.5 hours of the operation. Others are able to go home the following morning with the exception of the most very major thyroid cancer surgeries. Most insurance companies do not require a referral from another doctor. You do not need an endocrinologist referral. If you have an endocrinologist, that is wonderful and Dr. Clayman will communicate all of your tests, results, surgical findings, pathology report and any additional indications for treatment. If you do not have an endocrinologist, Dr. Clayman will refer you to one of his many colleagues throughout the country and world to have quality follow up at home. The evaluation, doctor visits, operation... everything done in one visit. Click Here to read what patients say about having surgery by Dr. Clayman at the Clayman Thyroid Surgery and Thyroid Cancer Center. When you return home, you see your doctor or endocrinologist in 1-2 month's time. There are no stitches to take out (they all dissolve). You can shower and return to most normal activites the next day. We will provide you a pre-printed lab slip to get your blood tested in a month or two and will send the results of this test directly to all of your doctors. We will communicate directly with all of your doctors who will be sent detailed information about your thyroid operation--they will have all your pertinent records before you see them a month or two after the operation. Your doctors will also get a personal letter describing what was done and they will get a photo of the removed thyroid tumor and detailed pathology report. The best part of course, is that the most common thyroid cancer surgeries performed by our team have a cure rate of nearly 99%, the risk of complications is extremely low (far less than one percent risk), the incision is generally very small (usually about 1 inch) and postoperative pain is very little (usually lasts only a few hours). All of our patients get only the exact surgery they require. It may be a minimally invasive thyroidectomy with an incision about an inch in length. It may be a surgery to remove thyroid cancer that has spread to the lymph nodes of the side of the neck. The surgery may change based upon findings during the evaluation or findings during surgery. This is truly personalized care. The right surgery for you and for the cure of your thyroid cancer. We decide on the extent of surgery based upon your Thyroid Cancer Center comprehensive evaluation and findings during surgery- this is the only way to assure that you receive the exact operation you require to address all of your disease! Please read this again, this is what confuses the most people. And yes, we will take care of any worrisome findings during your operation-Dr. Clayman does this all the time. Average amount of blood loss during the operation - less than one teaspoon (essentially none). How often we use doctors in training (anesthesiology residents) to help with your anesthesia - never. How often we have doctors in training (surgery residents) do part or all of your operation - never. How often we operate on people over 80 years of age - almost every week. Number of times our doctors have been sued - Zero. How often our doctors publishes in major medical journals - about every 6 months. How often our patients send flowers and candy - every day! Number of States patients come from every year - nearly all 50 (about 1/2 of patients are from outside Florida). How often Dr. Clayman operates on patients from other countries - weekly. How to have surgery at the Clayman Thyroid Surgery and Thyroid Center at Tampa General Hospital. Dr. Clayman performs all operations with the dedicated surgical team at the Thyroid Surgery and Thyroid Cancer Center at Tampa General Hospital, one of "America's Best Hospitals" in seven different medical specialties, including Head and Neck Surgery and Endocrinology (that's us...for 9 years in a row!). We have an entire floor of the hospital that is dedicated to our team. We accept almost every insurance for the cost of the operation, including Medicare. Our hospital, anesthesia team, x-rays, etc. will also accept almost all insurance payments for the operation. What does it cost? If you come to Tampa for your in-person evaluation by our expert team, there is no cost to you other than your insurance deductibles, co-pays, and other costs that are typical for seeing any surgeon or specialist. There is no hidden or additional costs to be seen by our experts in Tampa. If you need thyroid surgery, we will know your costs prior to any operation being performed. Thyroid surgery is covered by all medical insurance provided there is an indication for surgery. We are in network for most major health plans. Online Second Opinion Consult. For patients living a long way from Tampa Florida, we offer a program that allows them to consult with our thyroid experts via an Online Second Opinion Consult from the comfort of their own home. This is for patients who either cannot travel to Tampa for an in-person consultation, or those who chose to have the online consultation rather than travel to Tampa several times. Most insurers we are in-network with cover in-person, face-to-face services only and thus they will pay for your in-person evaluation and consultation here in Tampa. However, since the Online Second Opinion Consultation is not a covered benefit for any health plan we are aware of, the patient will be required to pay for this consultation. Thus, if you cannot travel to Tampa for an in-person evaluation, you can still be evaluated and receive the expert advice of our surgeons via an online consultation, but this service is not covered by insurance and you will be responsible for this $1200 fee. This will provide you with unparalleled access to the world's most experienced thyroid surgeons. You may not have thyroid cancer, but if you require thyroid surgery you want the most expert thyroid surgeons and have them available to make the right decisions while doing your thyroid surgery. Few surgeons understand thyroid surgical diseases like we do. Your information will be gathered and organized from your doctors and then entered into our huge database. Dr. Clayman or one of his world expert surgeons, will consult with you on the phone about your thyroid problem, putting it in context with thousands other patients that they have seen and cared for over more than 20 years. They have unparalleled expertise in this disease and can provide guidance to you for years. If you are retired or on a fixed income, let us know immediately. We never want money to be the only reason you don't get the best care in the world. Let us know! Importantly, your insurance will not pay the Online Second Opinion Consultation fee so this $1200 charge will be your responsibility if you chose to have a consult with us without coming to Tampa for an in-person visit. This fee covers the organization of your chart and the phone consultation with Dr. Clayman. This fee is for your consultation before you get to Tampa to determine if you have a surgical thyroid disease, how severe it is, and what your best means of treatment would be. The consultation oftern involves review of cytology and genetic reports, review of imaging studies and medical records. This consultation fee is also for the additional advice we will give you before and after your operation regarding your thyroid, hormone replacement, and wellness. NOTE: One-half of the consultation fee is returned to you if we deem you do not have a thyroid condition such that surgery is not in your best interest. We operate on international patients every week. The total cost if you do not have insurance and must pay for a thyroid gland only operation out of pocket is very very affordable. We do not publish our price schedule but you can email Dr. Clayman at clayman@thyroidcancer.com and he will communicate directly with you based upon the current understanding of your disease. The price will include the consultation fee, chart prep, surgeon fee, anesthesia, anesthesiologist, x-ray, hospital, laboratory, operating room, operating room team, and recovery room. Everything except travel and hotel. This cost is incredibly affordable and is truly a fraction of any other specialty center and you will be cared for in a manner that you would have never dreamed was possible! Remember, we will quote you a cost for everything and this is about 25% of what this operation will cost you at most other hospitals in the US. The reason our cost is so low is primarily because of our efficicies that come from doing the same operation many times per day. Additionally, unlike other large tertiary hospital systems, we do not utilize patient care income to pay for large new buildings, resident or fellow training, or unreimbursed costs of hospital systems including expensive administration and research needs. This cost efficiency is therefore passed on directly to our patients. There are no hidden fees and no surprises. If you have a thyroid tumor or a thyroid cancer that requires the entire thyroid gland removed, there is a specific cost. If your thyroid cancer has spread to the side lymph nodes of your neck or you have had a previous thyroid cancer surgery and were not cured and you have zero insurance, the cost is slightly greater (depending upon the extent and locations of the disease within your neck). The only thing not included when we quote a total cash cost is the expense of a PET/CT scan if so indicated. Waiting Lists - When Can You Have Surgery by the World's Most Experienced Thyroid Cancer Surgeons? Drs Clayman and Roy perform thyroid surgery at least three days per week (8 operations daily). It takes about 3-5 days for your chart to be completed and for Dr Clayman to review it (a little longer if you have already had an unsuccessful thyroid cancer operation somewhere else). The entire process from the time of submission of the online form to an in-person evaluation and/or operation is usually about 2 weeks. The slowest part of the process is almost always getting your medical records sent to us. There are some exceptions to getting in sooner; Dr. Clayman will see any anaplastic, poorly differentiated thyroid cancer, or vocal cord paralysis from thyroid cancer emergently within a day or so. NOTE: We prefer email communication whenever possible. Our New Patient Form will ask you the most important questions about your thyroid disease, the names of your doctors and other routine questions. The form also has a place for your insurance (if you have insurance). Just fill it out and hit the 'submit' button. We take almost all insurance types for the operation; Our insurance experts will know how much (if anything) you will have to pay out of pocket for the operation (co-pays and deductibles). You do not need a referral. Medicare does not require a doctor's referral, and no insurance requires you to see an endocrinologist. We prefer that you have one but you don't have to see an endocrinologist to be evaluated by Dr. Clayman. If you require a referral to an endocrinologist, we will happily accommodate you. 2. Contact your doctor's office and have them fax your records to us. Specifically your TSH, T4, Thyroglobulin, Thyroglobulin antibody, (calcitonin and CEA), pathology/cytology results, ultrasound, CAT scan, PET scan and other xray reports, etc. This is usually the slowest part of the process. If you have had a CAT scan, PET scan or ultrasound, have images placed on a CD so that our doctors can review them. Dr. Clayman would much rather be able to view the images than trust the words of the interpretation of the images. Our fax number is: 813-844-5712. Click Here to PRINT A REQUEST FOR MEDICAL INFORMATION FORM Print this form, fill it out, and fax it to each of your doctor's offices that have anything to do with your thyroid related issues. Printing and sending this form to your doctors is the easiest way to get your records to us. Call them on the phone about a week later to follow up. 3. Caroline, our new patient coordinator, will contact you by phone to introduce herself within a day or two after we receive your online form and tell you what else is needed. She will email you when we get the information from your doctors, and will email you again when your chart is completed and given to Dr. Clayman. You can expect several emails keeping you informed as your chart makes it way through our system. Tiffany will also work with you regarding your insurance coverage and deductibles - she will email you about your costs, insurance coverage, deductibles, etc. 4. Get ready for your phone consultation with Dr Clayman or Dr Roy. They will call you, discuss your thyroid tumor, thyroid surgery or thyroid cancer related issues, evaluation, and plan and answer any questions you may have. Remember, you will also spend time with the doctors during your in-person consultation and also on the morning of your operation. 5. Book your in-person evaluation and if indicated, operation with our scheduler Courtney. (Please do not call Caroline or Tiffany to schedule your appointment). Courtney is available Monday through Friday from 8:30 am to 4:30 p.m. at 813 844-3798 after you have had your telephone conversation with Dr Clayman or Roy. Have your calendar with you when you call. 6. Make your travel arrangements. 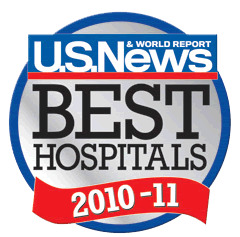 Your evaluation and surgery are all performed at the Thyroid Institute at Tampa General Hospital. This is a 1 Tampa General Circle Tampa Florida 33606. Registration and your initial evaluation are all performed at the Thyroid Institute on the 6th floor of the Bayshore Pavillion within the Tampa General Hospital. There is a lot more information about this on the bottom of this page that tells how long you stay in Tampa, when to come, when you can travel home, etc. We have hotels where most of our patients stay. 7. Watch some of our videos so you understand more about thyroid surgery and thyroid cancer surgery. We have developed this website just for you. It is full of information pertaining to the comprehensive set of diseases that the Clayman Thyroid Center manages. Watch the video that gives a Tour of the Clayman Thyroid Center at Tampa General Hospital so you can see where you are going and meet some of the people who will take care of you. You can call us on the phone if you need to (we love communicating with our patients via email). Our office hours for new patients are 9:00 am to 4:00 pm EST Monday through Friday. During all other hours you can leave a message and we will return your call. Did we mention that we prefer email communication and if you call we won't be able to help too much until we see your history form, xrays, ultrasounds, pathology and your labs? Please do not call us with a generic question about thyroid disease or to see if you can be a patient of ours. If you have a thyroid surgical disease or a thyroid cancer, you can be a patient of ours! Remember, the operations are performed at the New Thyroid Institute at Tampa General Hospital not at our office. Out of town patients do not come to the office, but meet the doctors at the hospital the morning of the operation. 2. We require the New Patient Form to be filled out for all patients, so as soon as you fill it out. Caroline will email you to tell you that your forms have arrived and they will remind you of the other information we need (x-rays, lab reports, etc). Once all of your clinical information is put together you will get a second email to tell you that the chart has been completed and was given to one of our doctors for review. It will usually take a couple of days to one week for Dr. Clayman to review your information and go over your case in detail and then call you on the phone to discuss your thyroid problem. He will tell you what he thinks the best options are. Every patient who has to travel to get to Tampa will get a personal phone call from one of our doctors. Make sure you give us your correct phone numbers. Because of our volume, the doctors call patients 7 days a week. They will make calls as early as 6:00 am or as late as 10:30 pm -- only if you want them to. At the bottom of the History form it will ask you if it is ok for them to call you early in the am or late at night. If not, just say no and they will call during more regular hours. 3. Verification of Insurance, Co-Pays and Deductibles. When your chart is given to one of our doctors for their review and phone consultation, they will also give your information to Tiffany, who will work on your insurance coverage and verification. If you are in our system and have filled out our secure New Patient form then you can email Tiffany questions you may have about insurance coverage. Trust us... this is very simple for almost all patients, so do not think you need to email them--they will automatically contact you when they have all your information figured out. If there is a problem, you will hear from us. Please know, all aspects of this operation are covered by insurance just like any other surgeons' office, with the exception of the consultation fee which is not covered by insurance. We are in-network and preferred providers for: Medicare, Cigna, Blue Cross/Blue Shield, Humana, Aetna, United Healthcare, UHC, and almost all others. 4. In-Person Evaluations and Surgery Scheduling with Courntey. After your phone consultation with one of the doctors, they will begin the process to get you scheduled for your evaluation and/or planned surgery. The day following your telephone consultation, you are welcome to contact Courtney directly at 813 844-3798 to schedule your evaluation and surgery, if so indicated. Courtney will contact you if for some reason you have not contacted her first. 5. Book Your Hotel. We work with a handful of hotels in the area, but most closely with the few listed on our Hotel Page. 6. Watch the Movie of your operation! We have videos of many operations for you to watch. You can pick the surgery or potential operations that may apply to you. Don't be afraid. See the most incredible and delicate anatomy of the body and how skillfully the surgery can be performed by the most experienced thyroid surgeon and thyroid cancer surgeon in the world. There is no blood or blood loss. It will help you understand where the incision is, and what your incision will look like. You will see just how small and quick almost all operations are. The movies are only five minutes or so in length and are very educational. 7. Watch the video of the New Thyroid Institute at Tampa General Hospital. See where you will valet park and meet the folks who will take care of you. 8. Go to our Learning By Videos page and watch all our cool videos. In order for us to confirm that you have a surgical thyroid disease (thyroid mass, thyroid cancer, hyperthyroidism) and that an operation is in your best interest (very high chance of cure + very low chance of complications = successful surgery), then we need some of your medical records sent to us. This shouldn't be too hard and usually can be done by you over the phone. Most of this cannot legally be done by us. Probably the most important piece of information is your cytology or pathology reports as well as any genetic studies which have been performed. If you have copies of these medical records, we request that you make copies of these and hand carry them with you when you come for your appointment. This makes both your life easier and the process simpler all around. 1. Send us a copy of all your lab work, x-rays (and doctor's notes). PRINT THIS PAGE TO SPEED UP THE PROCESS. Print this form and take it or fax it to your doctor's office. Specifically, we want to know where was the mass or masses located, what is your TSH level, what are your blood markers (thyroglobulin, calcitonin, and CEA), and what xrays have shown (you need to overnight the CD of xrays so Dr. Clayman can review them personally). Other labs will be helpful as well, so send them also.... We want a good, safe outcome, so we need to know all of your important medical history. The doctor (or doctors) which has been working up your thyroid problem will have "clinic notes" about you where he/she has been noting the thyroid problem and other problems you may have as well. Use the fax or mail addresses below. Again, its better to send us too much than to send us only part of the picture. Getting your doctor's office to send your information to us is usually the slowest part of this entire process. 2. Send us a CD copy of all of your x-rays. We do not usually need a copy of your ultrasound because so many are incomplete and don't tell the whole picture. If there may be a benefit, we will ask you specifically to have a CD created of your ultrasound. To do this, go to (or call) the hospital or clinic where you had your xrays, and request that they be sent to Dr. Clayman at the following address: The Clayman Thyroid Cancer Center, c/o Dr. Gary Clayman, 514 Erie Avenue, Tampa Florida 33606. If you haven't had a x-ray yet, do NOT get one. It will be a waste of your time and money. If you need an x-ray to determine the extent of your thyroid or plan your surgery, you will get one the morning before you go to the operating room. If you had a thyroid ultrasound test, do NOT send it unless Dr. Clayman specifically asks for it; we do our own highest resolution ultrasound when you come to see Dr. Clayman on every single patient!!! There are no exceptions. He needs this to know exactly where the problem is….and where it isn't. 3. Write a brief clinical history of yourself. This is best done after you fill out the New Patient Form. Tell us your problems in your own words and correlate them to what your doctor's have told you and the results of your lab tests. Give us a picture of your overall health as well as your thyroid problems. You will be able to email this to one of our Coordinators after they contact you by email to tell you that your chart has been opened. Email this to your Coordinator. 4. Make a list of your current medications. We will have you insert this list into our online form. Its easy! Remember, our form is secure. 5. Insurance coverage will be addressed by one of our insurance experts. We take most types of insurance, including Medicare. Since thyroid surgery and thyroid cancer surgery can sometimes change during your evaluation and even during surgery, your insurance may require pre-authorization. Medicare does not require pre-authorization, nor does it require a referral from an endocrinologist. Same for Aetna, Blue Cross, Blue Shield, Humana, Cigna, United Healthcare, UHC and most others. If you have a rare insurance that we don't take, we will write you a "Letter of Medical Necessity" that you can submit to obtain 'out of network' coverage. Our secure form makes the insurance submission and verification process easy. When you submit this form we will confirm your eligibility with your insurance company. Typically, this is all that you need to do. Insurance questions can be addressed via email to tiffany@thyroidcancer.com. Please do not send insurance questions to our nurses. Read more about your financial responsibilities on our ABN form...you will be required to check the box that says you read this when you fill out the online forms. Also, remember that the insurance will pay for the operation--it does not pay for the consultation. The consultation will be your responsibility as described above. 6. Pick a day for the procedure and then make travel arrangements. Our staff will help you decide which day will be best for you to come to Tampa and will book your operation at that time. Dr. Clayman operate as a team on all patients and typically performs over 24 operations per week. You will need to arrive in Tampa the afternoon before the operation and almost all patients can leave the morning after surgery. If you are flying home, we request that you remain in Tampa at least 48 hours following your operation. In rare circumstances, some patients may have a small drainage tube. This tube can be removed at home by your caring doctor or even a family member (it is a simple painless task), if it is so needed. We have arrangements with several local hotels where you can stay the night before and after. Usually it is best if you get into town the afternoon or evening prior to the operation. All pre-registration will take place over the telephone and no pre-op testing is required. You do not come by the clinic or the hospital ahead of time. You will come to the hospital early in the morning of the operation. We have our own center at the hospital where you will be surrounded by people with the same problem as you. You will get checked in, spend time with Dr. Clayman discussing your case, get a high resolution ultrasound study and possible fine needle biopsy, review the ultrasound and microscopic examination of any biopsies obtained, obtain and review any necessary x-rays (only if needed) which have been obtained (such as a CAT scan) and then meet with Dr. Clayman once again, meet the rest of the operating team, go to the operating room and have your operation, go to the recovery room for about 1.5 hours and then go home or stay in our comfortable "extended recovery" environment overnight. That's it. If you are one of our first or second case of the day, you can expect to be out of the hospital on your way home within three hours or relaxing, walking and enjoying time with your family in our "extended recovery". 7. The morning of the procedure you will get a high resolution ultrasound study of your thyroid gland and entire neck!! This high resolution scan will provide a good 3-dimensional view of where your thyroid tumor is located and/or what the lymph nodes look like throughout your neck (equally importantly, it shows us where disease is NOT LOCATED). NOTE: Dr. Clayman des all of his own surgery and we never use residents or fellows who are learning to operate. Again, we don't have residents or fellows doing the operations. We don't use resident anesthesiologists either. There is nobody "learning" on your operation. This is very important to you. 8. Staying in town after the procedure. If you want to stay in a hotel the night of the procedure, that is ok and is what almost everybody who lives outside Florida does (if they don't have family or friends in the central Florida area). Important! As discussed in #7 above, The Clayman Thyroid Surgery Center has special deals with several local hotels which are fairly close by and quite inexpensive. Bottom line: There are many different types and extent of thyroid operations. Patients that have half of their thyroid gland removed can return home within two hours of their surgery. If you have your entire thyroid gland removed or have side of your neck surgery, you will enjoy our "extended recovery" with Home comforts in a hospital environment. we prefer for those flying back home to wait 48 hours prior to getting on a plane. This really has nothing to do with the operation itself, more to do with the lowered risk of "motion sickness" caused by general anesthesia when you allow the anesthesia medications to be cleared from your system over this additional time. 9. What if I have problems? Who do I call? First, during week days, any clinical questions should be called to the Thyroid Institute at 813 844-5041. Call Monday through Friday from 7 am to 4:30 pm. After hours, you can call any of our nursing staff or Dr. Clayman. We are here for you! What to do if I have problems....this is a common fear, but let's face it folks, if we had patients with problems after the operation on any kind of frequent basis, he would not have been able to do this for over twenty years. People have been traveling to see Dr. Clayman from all over the world for decades and this same approach has worked all the time. We are very good at what we do and we will make sure you are treated with the utmost care and your safety is our greatest priority. Our biggest rule is "Safety Trumps Convenience". All of our patients get a detailed sheet of postoperative instructions and this is reviewed before surgery so you know exactly what to expect. All patients get our doctor's mobile phone number --and are instructed to call him directly if they have any problems. We don't have an answering service. If Dr. Clayman is for some reason not available, one of his colleagues will immediately respond. If you go home, our Doctors will call every patient the evening of the operation to make sure you understand what was found and to answer any more questions that you may have. If you happen to stay in our extended recovery, the Thyroid Institute team of nurses and doctors will see you before you leave the hospital. Your doctors will get a copy of the operative report and pathology report and photographs of your specimens as well. Yes, they even get a photo of the surgery specimens! You can get one too! All of your doctors will also get a personal letter describing what was found and what was done. The bottom line is this: We have done so many of these operations that it has become a very straight forward procedure. We have made the complex quite simple for us. But don't get this wrong! This is not simple surgery that can or should be performed by anyone! Only true experts should be doing thyroid operations. Note, our thyroid surgeons do not treat parathyroid tumors. If you have a parathyroid tumor or hypercalcemia, you will see our surgical colleagues at the Parathyroid Center. That is all that they do. Why do we keep bringing up the quickness of our thyroid and neck operations? First of all... quick is dumb if it's not successful. The most important issue is safety, so always look at a surgeon's complication rates and success rates. If success rates are very high and complication rates are very low, then speed is the next most important factor. Speed is a function of repetition and competence. The more you do, the better you get. Just that simple. Quick operations have less dissection which means less pain and less bleeding. Less dissection decreases the potential for complications and damage to other neck structures like nerves and blood vessels. Quick operations require less anesthesia. People get much less sick and are able to get on with their lives very quickly after a shorter operation. Quick operations are tolerated by people very well. The best surgeons are often the quickest... but not always! When choosing your surgeon--regardless of who it is--you must always fall back on what is most important... success rates and complication rates. You will usually see that the best and most experienced surgeons have all three: Very High Success Rates, Extremely Few Complications, and Speed. Note, Dr. Clayman can't operate on everybody who needs thyroid surgery or has thyroid cancer. But, if thyroid surgery was an easy operation to perform, we wouldn't see previously treated patients with nerves to the voice box cut everyday and no glands controlling calcium in the body --- you get the picture. That doesn't mean that there aren't great surgeons at many institutions, it simply means that you need to pick your surgeon wisely--one that performs thyroid cancer surgery at least several times per week. If thyroid surgery was easy for every surgeon to perform, we wouldn't be in business because nobody would have the need to travel across the country to have Dr. Clayman do their operation. If thyroid surgery were easy, surgeons and doctors from dozens of major universities from around the US wouldn't come to see our doctors to remove their tumor--or the tumor from their wife. Yet thyroid cancer surgery is easy if you do it every day. Thyroid and neck surgery is NOT easy if you do it once every couple of weeks. At this point in his career, Dr. Clayman has done over 10,000 thyroid cancer operations. He can't do everybody's operation, but please, be wise and pick a surgeon that does thyroid surgery at least once per week. If they can remove a thyroid cancer, they can remove a lump in your thyroid gland. Don't let someone take out your entire thyroid gland that doesn't do it at least several thyroid operations every single week. When you talk to Dr. Clayman, he will invariably tell you: "Don't make this so difficult, it is not hard. This is really straight forward!". It is easy for them. This is all that they do. When you visit with us you will consult face to face with Dr. Clayman and/or Dr Roy, have a high resolution ultrasound of your neck by a diagnostic team of world experts, possibly have a needle biopsy and immediate assessment of the microscopic appearance of the cells by world experts, possibly have a CT scan of your neck based upon ultrasound findings in the most state of the art scanner with exquisite detail, have the right operation by the best thyroid surgeons in the world, spend time in the recovery room with a view of the ocean (Tampa Bay), visit with Dr. Clayman after the operation to review the photo of your tumor and what was found in surgery, and then head home (or to one of our partner hotels). For more extensive surgeries, you will stay at the hospital in what we call extended recovery with all the comforts you would expect from the beginning of your Clayman Thyroid Center experience. And, with the exception of the operating room, your family can stay with you the entire time. You get your doctor's cell phone number and any one else you need to contact, and if you go home, Dr. Clayman will call you the night of surgery as well as our outstanding nursing staff. You don't need any scans or x-rays before you come here (we very strongly prefer you do not have any scans of any kind) because we do everything in one visit. But if you have had a scan, Dr. Clayman will review it and determine its quality and ability to meet your needs.